Product information "SONY GTKXB5B BLUETOOTH AUDIO SPEAKER"
Lighting sets the tone for an evening – use the built-in strobe, speaker lighting and multi-colour line lighting to liven up your party. The lights work in sync with the beat for a more exciting feel. Position the XB5 horizontally or vertically according on how your room is laid out and the atmosphere you want to create. 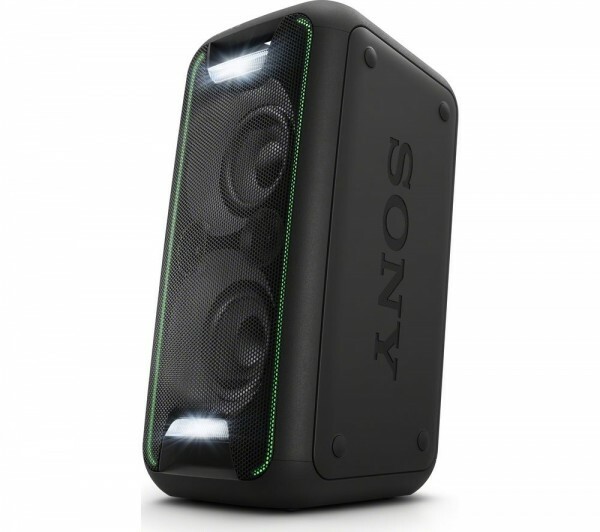 Related links to "SONY GTKXB5B BLUETOOTH AUDIO SPEAKER"
Customer review for "SONY GTKXB5B BLUETOOTH AUDIO SPEAKER"